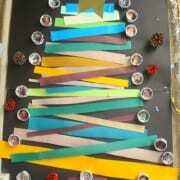 The PolyHigh Children’s Christmas Party will be on the Friday 4th December. 2.30pm–3pm: Entertainment – BJ Bear. 3pm: Father Christmas will be handing out presents in the Kiwi and Tuatara room followed by afternoon tea for these two groups. A warm welcome to our new student, Samantha Whaanga who is from Victoria University. She will be doing her Teaching Experience in the Tui group for six weeks. We also have Doaa from Careers College who will be with us until the end of November. Harry and his Whānau Rachel, Luke and big sister Grace. The illness prevents the child from participating comfortably in programme activities. The illness results in a greater care need than the centre can reasonably provide without compromising the health and safety of the other children. The child has any of the following conditions: fever, persistent crying, difficulty breathing, diarrhoea or any other possible severe illness. 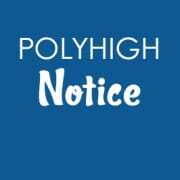 I have attached Polyhigh Illness policy and also information from the Regional Public Health regarding Influenza. Please take the time to read. A number of children have been coming to the centre showing signs of the above, we will not hesitate to send any child home that is unwell. Children who come to centre unwell are usually miserable and often infect other children and the teachers.